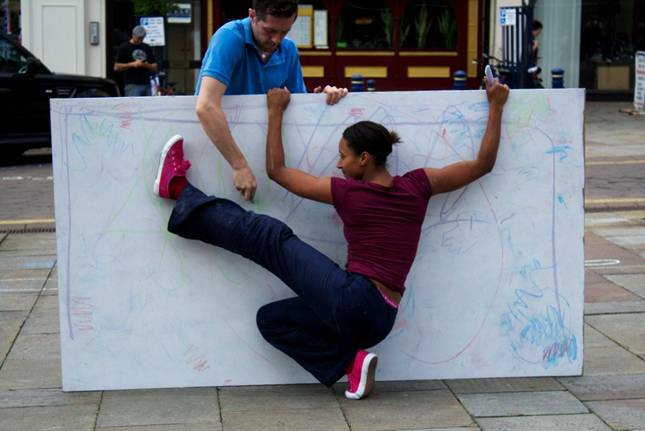 Hinterland is a dance performance touring to city centre squares. Commissioned by Birmingham Hippodromes Six Summer Saturdays 2012. This is the first stage in the shows development towards touring next year the concepts explore the city as an urban playground, and working with a prototype set.